Now here's the tricky part. In order to perform a direct disk-to-disk image of your existing data CloneZilla requires the source disk (the one with all of your data on it) to be smaller than or equal to the size of the destination disk (your new SSD). As you will have undoubtedly already found out by the large hole in your wallet, the difference in cost between a 250GB conventional hard disk and a 250GB SSD is astronomical and therefore the chances are that your SSD will be smaller than your existing hard disk. If this is not the case, move on to the next page. Otherwise stick with me right here and we'll go through the stages of resizing your existing hard disk to match the SSD. However, before we go any further YOU MUST MAKE A BACKUP OF ALL IMPORTANT DATA. 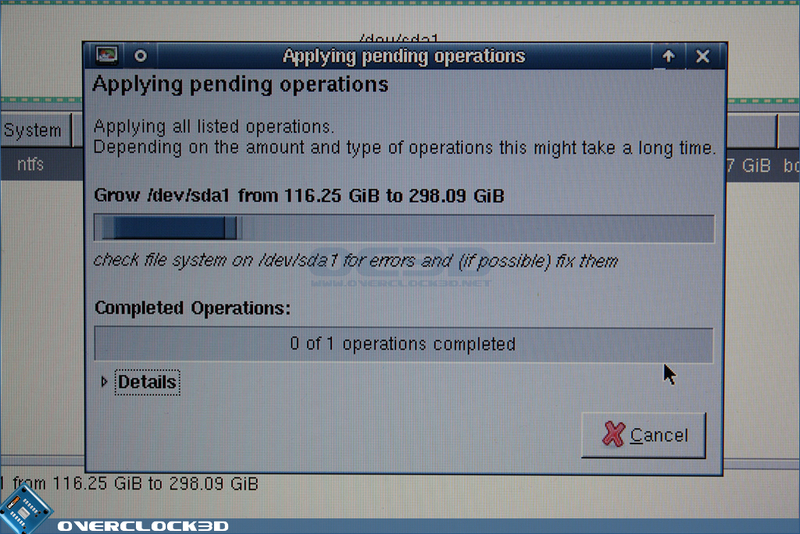 Resizing a partition does not have a 100% success rate and there is a small chance that you could loose data. Neither myself or Overclock3D can be held responsible for this, so BACKUP, BACK UP, BACK-UP!!! After a few seconds the CD will begin to boot and detect your hardware. You may be asked to select your language and keyboard layout, but providing you are happy to use a US based setup (also fine for UK) the CD will automatically select these as the default settings should you not attempt to select any alternative. 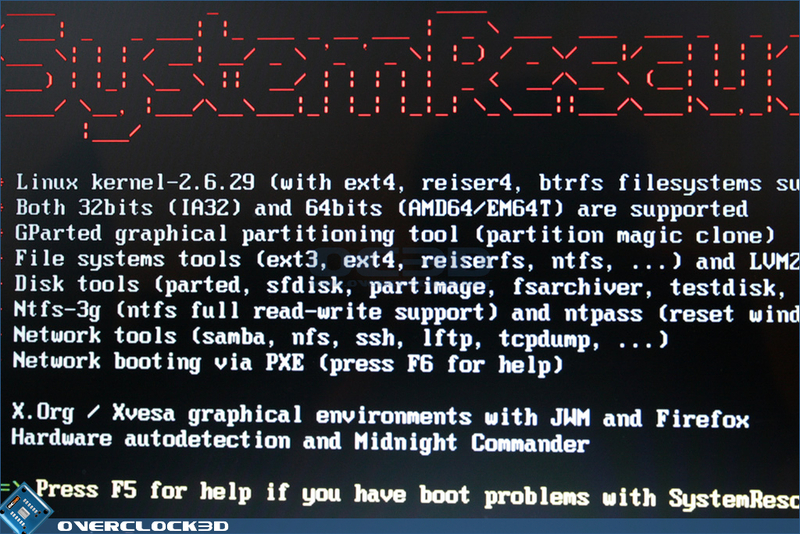 Things will appear to grind to a halt when the CD has finished booting and you are left with a [email protected] /root % command prompt. 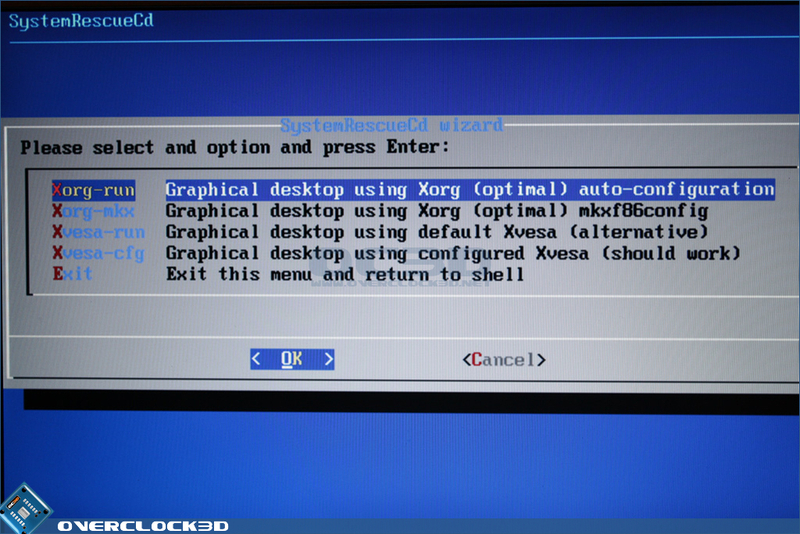 To get things moving again all you need to do is enter the word 'wizard' and press enter to display the desktop environment list shown in the image above-right. 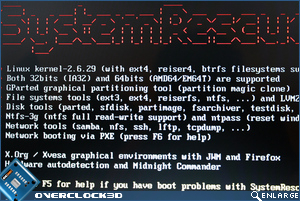 Most Notebooks should work fine with the default Xorg-run option, whereas users of MacBooks may find that they need to use Xvesa-run option in order to boot into the desktop environment. Of course, if neither of these work, feel free to try the other options. There really is no right or wrong selection on this screen. 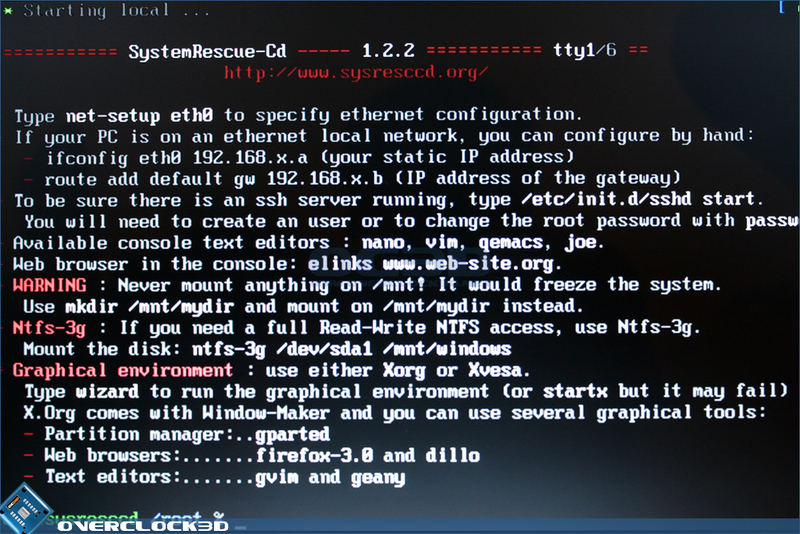 Once inside the Gnome-like desktop you will want to head straight for the utility called GParted. 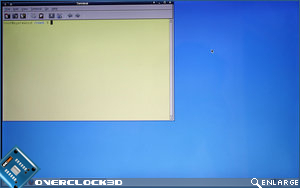 This is located under System menu which can be displayed by clicking on the CD-like icon at the bottom-left of the screen. Users of MacBook's may find that their mouse does not work at this stage and therefore the only option is to use the keyboard. 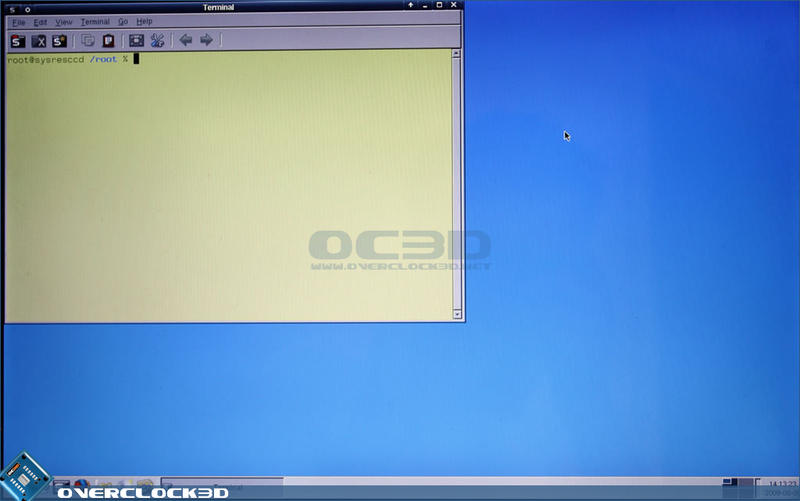 To navigate using only the keyboard you will need to use CTRL+ESC to bring up the main menu, the arrows to navigate to GParted and ENTER to select it. 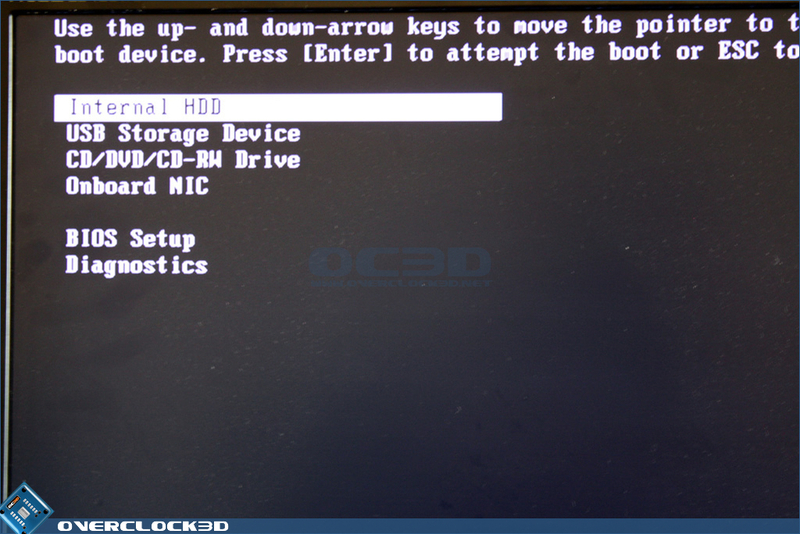 Providing your hard disk contains only one partition it should be displayed in a similar way to the images above. 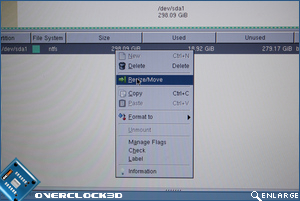 Some Notebooks may have several small partitions also on the disk (used for manufacturer system tools) so be sure to select the largest partition in the list. Once again, if you're using a MacBook with a non-functional Mouse, using the TAB key will allow you to select the desired partition and pressing ALT+P will display the 'Partition' menu where you can select the Resize/Move option. The final step is to set the size of your partition. This is entirely dependent on the size of the SSD drive you've purchased and for the sake of not overcomplicating things in this review we're going to forfeit 1GB of space on our SSD drive to ensure that the disk clone works perfectly first time. In the 'New Size' box enter the size of your SSD drive in megabytes minus 1000. 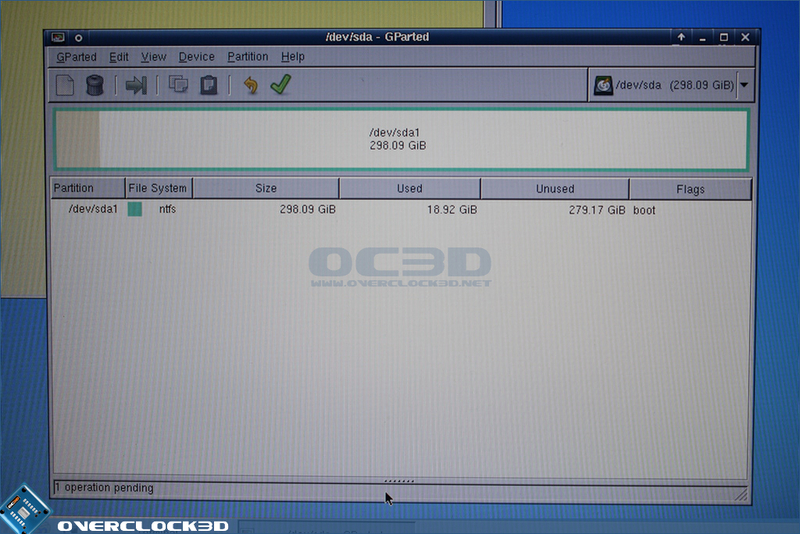 So if your SSD drive is the 64GB variety enter the number 63000, 120GB enter 1190000, 250GB enter 2490000...etc. It is important to note that you cannot shrink the size of your hard disk to any smaller than the size of the files contained within it. So for example if your existing hard disk is 200GB and you have 190GB of files contained within it, you WILL NOT be able to shrink the size of the disk to 120GB. If you run into this problem, the only way to progress is to delete some of the files from your hard disk or move them elsewhere (to a USB stick / NAS drive...etc). After pressing the Resize/Restore button it may take some time for your disk to be resized. Once the process is complete you will be presented with the "All Operations Successfully Completed" box above, at which point you can safely shut down your Notebook and move on to the next page.